September 22, the autumnal equinox, marks the beginning of fall in the Northern Hemisphere, but the fall harvest begins early in the harsh continental climate of eastern Kazakhstan. 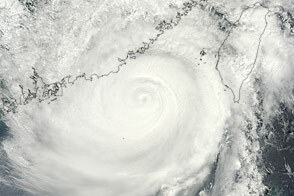 By September 9, 2013, when the Operational Land Imager (OLI) on the Landsat 8 satellite acquired this image, several fields were already harvested and bare. Others were dark green with pasture grasses or ripening crops. The fields fill the contours of the land, running long and narrow down mountain valleys and spreading in large squares over the plains. Agriculture is an important segment of the economy in Kazakhstan: the country’s dry climate is ideal for producing high quality wheat for export. However, 61 percent of the country’s agricultural land is pasture for livestock. 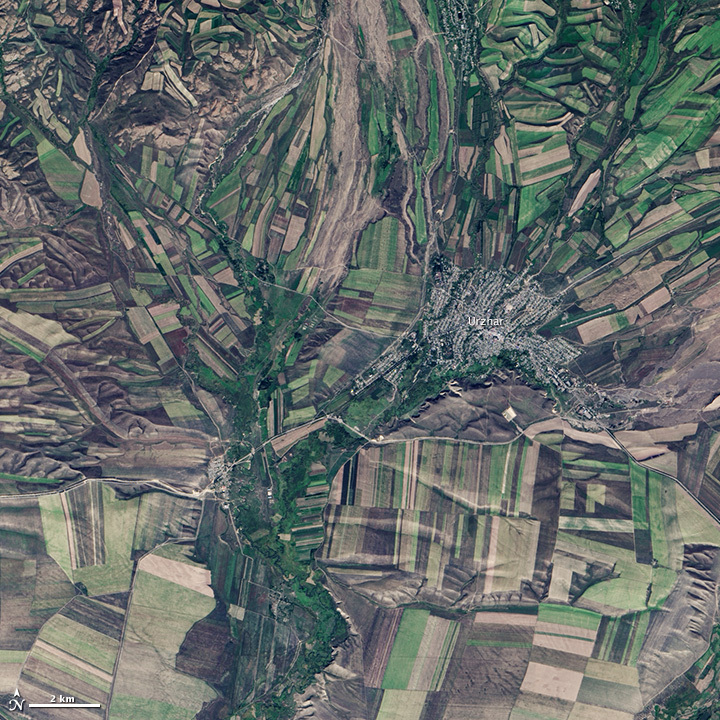 The area shown in this image, far eastern Kazakhstan near the Chinese border, is a minor wheat-growing region and may also produce sunflowers, barley, and other food crops. An artifact of Soviet-era collective farms, most of the farms in Kazakhstan are large, covering more than 5,000 hectares (12,500 acres). 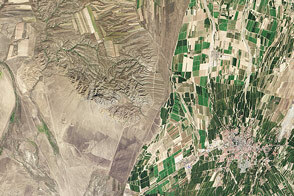 Some of the larger fields in the image reflect the big business side of agriculture. However, family farms and small agriculture businesses account for 35 percent of the country’s agricultural production, and some of these are visible as well, particularly in the uneven hills and mountains. Nearly all agriculture in Kazakhstan is rain fed. 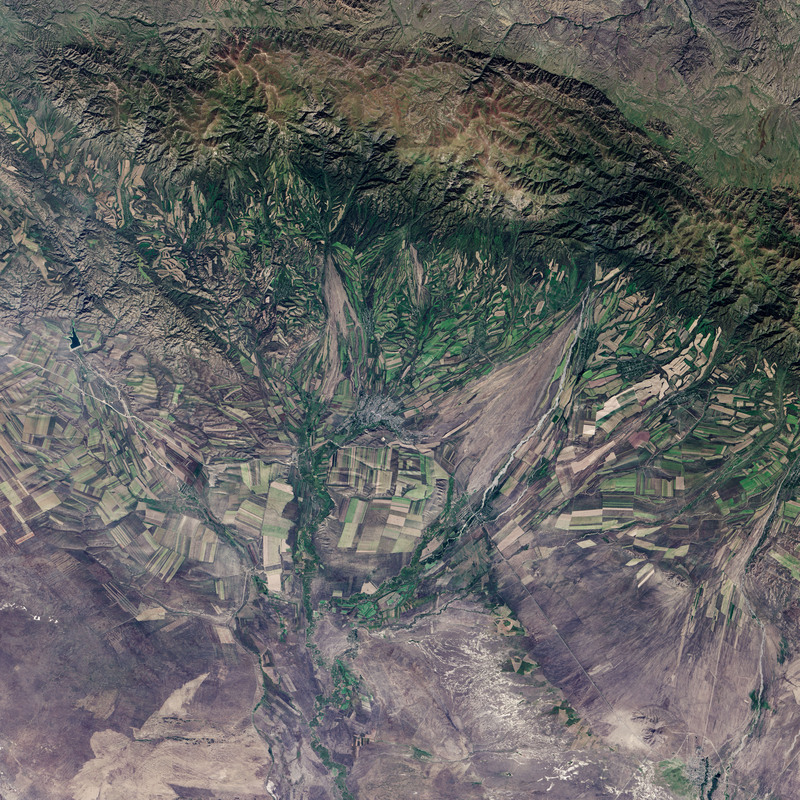 Farmers in this region have designed their fields to take advantage of rain flowing down hills, allowing the natural shape of the land to channel water to crops. The effect is a mosaic of green and tan with tones matching the natural vegetation in the mountains to the north. 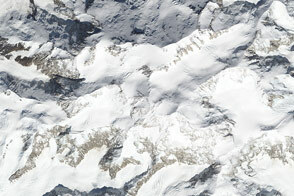 NASA Earth Observatory image by Jesse Allen using Landsat data from the U.S. Geological Survey. Caption by Holli Riebeek. 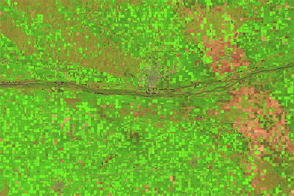 Farming and natural topography turn this Landsat image into something reminiscent of a cubist painting in shades of green and tan. Foreign Agricultural Service (2010, January 19) Kazakstan agricultural overview. United States Department of Agriculture. Accessed September 24, 2013. Foreign Agricultural Service (2013, March 16) Kazakhstan wheat production: An overview. United States Department of Agriculture. Akim Tarbagatay Region Geography of the region and its brief history. Accessed September 24, 2013.